Research has shown that the foods that we eat can have an impact on the health of our brains. While there is no specific diet for people who have Alzheimer’s disease, there are many foods that researchers say can ease symptoms and even possibly prevent Alzheimer’s. Consider incorporating these nutritious options to protect your brain from dementia. Try to get at least 15 milligrams per day of vitamin E, preferably from food sources. 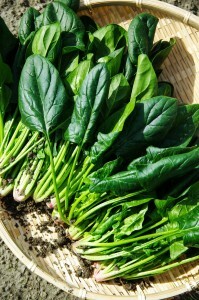 Vitamin E-rich foods include sunflower seeds, almonds, spinach and other greens. 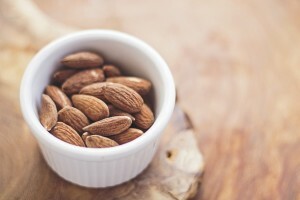 Research seems to indicate that vitamin E can slow the progression of Alzheimer’s disease. In a study where some participants who had Alzheimer’s took vitamin E, those participants saw an annual cognitive decline that was 19% slower than the control group. Researchers performed a clinical trial on 47 adults aged 68 and older who all had some mild cognitive impairment. Half received a serving of freeze-dried blueberry powder (equivalent to a cup of fresh berries) or a placebo for a period of 16 weeks. 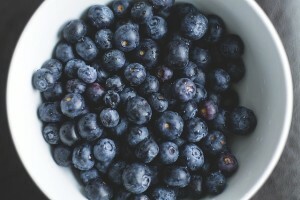 Those who took blueberry powder daily saw an improvement in their cognitive function. Researchers theorize that the presence of high levels of antioxidants or the presence of anthocyanins are what give blueberries their power. Berries can be eaten fresh, added to cereals or put into smoothies on a daily basis. Scientists have some preliminary sweet news for people concerned about Alzheimer’s and dementia. 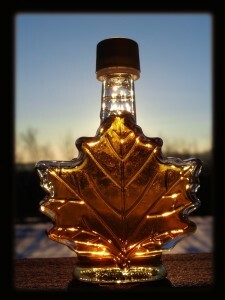 In an animal study, maple syrup extract was shown to help prevent the misfolding and clumping errors in brain cell proteins that are associated with Alzheimer’s and other neurodegenerative conditions. Human trials are still needed, but it could not hurt to switch to this sweetener for desserts, drinks and sweetening breakfast foods. There is significant epidemiological studies that show that omega-3 rich foods such as salmon, almonds, spinach and others can help protect against Alzheimer’s. Doctors recommend eating fatty, cold water fish at least once a week. Fish oil supplements offer the benefits of omega-3s for those who don’t enjoy eating fish. Vitamin B-12 helps keep nerve cells healthy, which can help boost your cognitive function. Older adults who have B-12 deficiencies can see signs of memory loss or other types of cognitive decline. B-12 can be found in meat, fish, poultry and dairy products. If you do not eat meat, you’ll need to get B-12 in supplement form or in fortified foods such as fortified almond or soy milk. Researchers have also found that the MIND diet may help to lower the risk of developing Alzheimer’s disease. The MIND diet is a combination of two other diets: Mediterranean and DASH (Dietary Approaches to Stop Hypertension). It emphasizes natural plant-based foods, with a focus on berries and green leafy vegetables, and limited consumption of animal-based and high saturated fat foods. Even moderate adherence to the MIND diet was shown to reduce risk of Alzheimer’s. Risk was reduced by 53% in those who diligently adopted the MIND diet and by about 35% in those who followed it moderately. In general, eating a wide variety of whole foods is extremely helpful in preserving your health, boosting your cognitive function and also possibly protecting you from Alzheimer’s disease. If you or a loved one are concerned about nutrition and brain health, talk to a nutritionist about creating a healthy diet for you. Can Vitamin B-12 Improve Memory in Alzheimer’s?